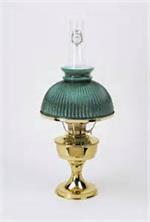 Classic Melon shaped shade in dark hunter green pairs well with this classic brass table lamp. 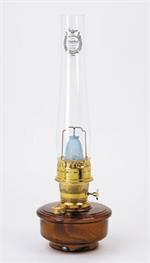 Classic Brass Table Lamp with beautiful green ribbed glass shade. 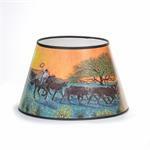 Simple and stylish lamp and shade pairing. 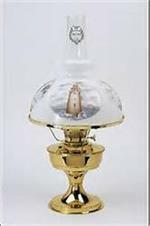 The Opal White Glass Student Shade is a classic lamp shade shape. 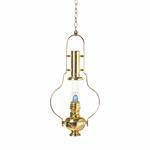 In the mid to late 1800's, student lamps, with beautifully-made glass student shades, began replacing the candlestick and lantern for interior lighting. The design of this series dates back to 1927, when Aladdin introduced their Model 12. 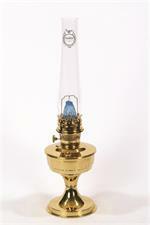 The Brass Heritage Table Lamp comes in a laquered brass finish, designed to last a lifetime. 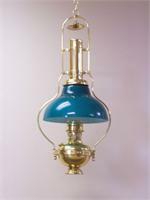 Nautical themed lamp. The Lighthouses shade features 4 different Lighthouses from America's East Coast. 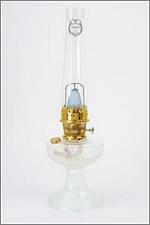 Complete kerosene table lamp. 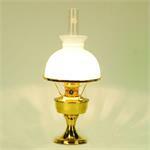 Just add kerosene for safe, bright light in any power outage or emergency. The white student shade features a majestic Sailing Clipper design, with nautical colors of blue, green, and gray. 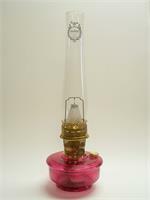 Complete kerosene table lamp. 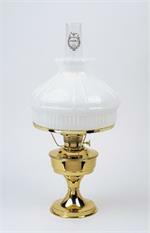 The timeless styling of the Heritage Series lamp dates back to 1927.